The Saint Petersburg Philharmonic Orchestra was formed in 1882 and is Russia's oldest symphony orchestra. It was initially known as the "Imperial Music Choir" and performed privately for the court of Alexander III of Russia. By the 1900s it had started to give public performances at the Philharmonia and elsewhere. Richard Strauss conducted the orchestra in 1912. 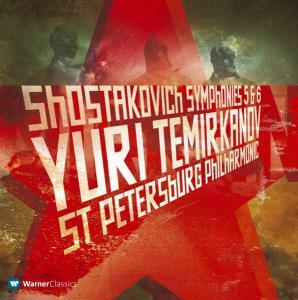 After the Russian Revolution the orchestra was taken over by its members, who changed the name to the "State Philharmonic Orchestra of Petrograd". In the 1920s the orchestra began receiving support from the state, and began to be known internationally as an excellent orchestra. Guest conductor appearances were made by Bruno Walter, Ernest Ansermet and Hans Knappertsbusch at this time. The city of Petrograd was renamed Leningrad three days after the death of Vladimir Lenin, the founder of the Soviet Union. Around this time the orchestra was renamed the Leningrad Philharmonic Orchestra. The orchestra gained its most fame under the lengthy directorship of Yevgeny Mravinsky. The orchestra made few tours to the West, but it recorded a number of studio and live recordings under Mravinsky. Furthermore, it was under Mravinsky that the orchestra premiered seven of Shostakovich's symphonies. In 1991 the orchestra gained its current name after its home city returned to its original name of Saint Petersburg. Today it is an internationally recognized symphony orchestra under the directorship of Yuri Temirkanov.